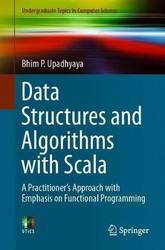 This practically-focused textbook presents a concise tutorial on data structures and algorithms using the object-functional language Scala. The material builds upon the foundation established in the title Programming with Scala: Language Exploration by the same author, which can be treated as a companion text for those less familiar with Scala. Topics and features: discusses data structures and algorithms in the form of design patterns; covers key topics on arrays, lists, stacks, queues, hash tables, binary trees, sorting, searching, and graphs; describes examples of complete and running applications for each topic; presents a functional approach to implementations for data structures and algorithms (excepting arrays); provides numerous challenge exercises (with solutions), encouraging the reader to take existing solutions and improve upon them; offers insights from the author's extensive industrial experience; includes a glossary, and an appendix supplying an overview of discrete mathematics. Highlighting the techniques and skills necessary to quickly derive solutions to applied problems, this accessible text will prove invaluable to time-pressured students and professional software engineers. The Internet of Things is a technological revolution that represents the future of computing and communications. Even though efforts have been made to standardize Internet of Things devices and how they communicate with the web, a uniform architecture is not followed. This inconsistency directly impacts and limits security standards that need to be put in place to secure the data being exchanged across networks. Cryptographic Security Solutions for the Internet of Things is an essential reference source that discusses novel designs and recent developments in cryptographic security control procedures to improve the efficiency of existing security mechanisms that can help in securing sensors, devices, networks, communication, and data in the Internet of Things. 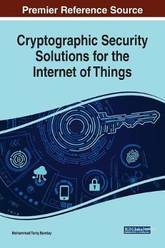 With discussions on cryptographic algorithms, encryption techniques, and authentication procedures, this book is ideally designed for managers, IT consultants, startup companies, ICT procurement managers, systems and network integrators, infrastructure service providers, students, researchers, and academic professionals. Explore the new and improved Jira 8 features such as agile board and advanced search for efficient project management Key Features Work on agile projects in Jira from both the administrator and end user's perspective Explore the improved Scrum and Kanban board and backlog Work through exercises at the end of each chapter to reinforce your skills Book DescriptionAtlassian Jira enables effective bug tracking for your software and mobile applications and provides tools to track and manage tasks for your projects. Jira Essentials is a comprehensive guide, now updated to Jira 8 to include enhanced features such as updates to Scrum and Kanban UI, additional search capabilities, and changes to Jira Service Desk. The book starts by explaining how to plan and set up a new Jira 8 instance from scratch before getting you acquainted with key features such as emails, workflows, business processes, and much more. You'll then understand Jira's data hierarchy and how to design and work with projects. Since Jira is used for issue management, this book delves into the different issues that can arise in your projects. You'll explore fields, including custom fields, and learn to use them for more effective data collection. You'll create new screens from scratch and customize them to suit your requirements. The book also covers workflows and business processes, and guides you in setting up incoming and outgoing mail servers. Toward the end, you'll study Jira's security model and Jira Service Desk, which allows you to run Jira as a support portal. 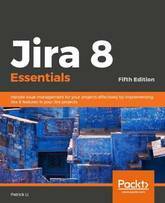 By the end of this Jira book, you will be able to implement Jira 8 in your projects with ease. What you will learn Understand Jira's data hierarchy and how to design and work with projects in Jira Use Jira for agile software projects, business process management, customer service support, and more Understand issues and work with them Design both system and custom fields to behave differently under different contexts Create and design your own screens and apply them to different project and issue types Gain an understanding of the workflow and its various components Set up both incoming and outgoing mail servers to work with e-mails Who this book is forThis book will be especially useful for project managers but it's also intended for other Jira users, including developers, and any other industry besides software development, who would like to leverage Jira's powerful task management and workflow features to better manage their business processes. Through interaction with other databases such as social media, geographic information systems have the ability to build and obtain not only statistics defined on the flows of people, things, and information but also on perceptions, impressions, and opinions about specific places, territories, and landscapes. It is thus necessary to systematize, integrate, and coordinate the various sources of data (especially open data) to allow more appropriate and complete analysis, descriptions, and elaborations. 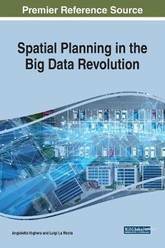 Spatial Planning in the Big Data Revolution is a critical scholarly resource that aims to bring together different methodologies that combine the potential of large data analysis with GIS applications in dedicated tools specifically for territorial, social, economic, environmental, transport, energy, real estate, and landscape evaluation. 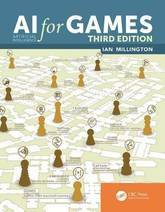 Additionally, the book addresses a number of fundamental objectives including the application of big data analysis in supporting territorial analysis, validating crowdsourcing and crowdmapping techniques, and disseminating information and community involvement. 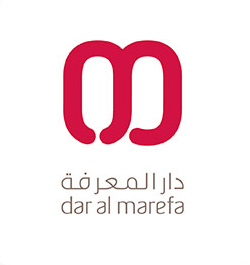 Urban planners, architects, researchers, academicians, professionals, and practitioners in such fields as computer science, data science, and business intelligence will benefit most from the research contained within this publication. Quick Sketching with Ron Husband offers instruction to quick sketching and all its techniques. From observing positive and negative space and learning to recognize simple shapes in complex forms to action analysis and using line of action, this Disney legend teaches you how to sketch using all these components, and how to do it in a matter of seconds. Watch his drawings as he grows from a young, talented artist, to a true Disney animator. Follow him as he goes around the world and sketches flamenco dancers, football players, bakers, joggers, lions, tigers, anyone, and anything. Key Features Get tips on quick sketching from a Disney legend who has animated or supervised some of your favourite recent Disney movies like The Fox and the Hound, The Little Mermaid, and Beauty and the Beast. 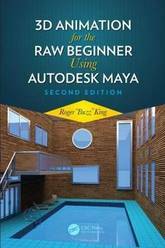 Features artist's guide and handbook which provides instruction while chronicling the author's growth as an artist. 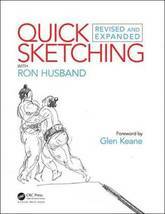 Quickly try out Husband's instructions and tips as you learn them in a sketchbook at the back of the book. This new edition re-emphasizes the four basic shapes and how important it is to recognize them in fast action. Stressing the importance of observation and the vital part this discipline plays in sketching. A Computational Approach to Statistical Learning gives a novel introduction to predictive modeling by focusing on the algorithmic and numeric motivations behind popular statistical methods. The text contains annotated code to over 80 original reference functions. These functions provide minimal working implementations of common statistical learning algorithms. 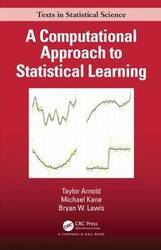 Every chapter concludes with a fully worked out application that illustrates predictive modeling tasks using a real-world dataset. The text begins with a detailed analysis of linear models and ordinary least squares. Subsequent chapters explore extensions such as ridge regression, generalized linear models, and additive models. The second half focuses on the use of general-purpose algorithms for convex optimization and their application to tasks in statistical learning. Models covered include the elastic net, dense neural networks, convolutional neural networks (CNNs), and spectral clustering. A unifying theme throughout the text is the use of optimization theory in the description of predictive models, with a particular focus on the singular value decomposition (SVD). Through this theme, the computational approach motivates and clarifies the relationships between various predictive models. Taylor Arnold is an assistant professor of statistics at the University of Richmond. His work at the intersection of computer vision, natural language processing, and digital humanities has been supported by multiple grants from the National Endowment for the Humanities (NEH) and the American Council of Learned Societies (ACLS). His first book, Humanities Data in R, was published in 2015. Michael Kane is an assistant professor of biostatistics at Yale University. He is the recipient of grants from the National Institutes of Health (NIH), DARPA, and the Bill and Melinda Gates Foundation. His R package bigmemory won the Chamber's prize for statistical software in 2010. Bryan Lewis is an applied mathematician and author of many popular R packages, including irlba, doRedis, and threejs. It is now more important than ever to implement approaches and methods that can be effective in extracting meaningful information from large data sets. Although data sets may be available for different aspects of society, we may not assess the intrinsic characteristics of their behavior effectively. Additionally, frameworks are needed that can store, process, and represent the data in such a manner that can be of practical significance. 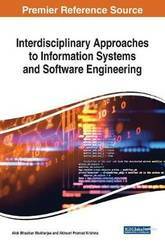 Interdisciplinary Approaches to Information Systems and Software Engineering is an essential reference publication that assesses the significance of robust information systems in characterizing events of varying nature and dimensions. Additionally, the book includes studies on the development and application of decision-making and prediction modeling frameworks using different approaches such as agent-based modeling, spatial decision support systems, and spatial data mining. Covering topics such as management information systems, knowledge discovery, and mathematical analysis, this book is ideal for professionals, researchers, and academicians in various disciplines including computer science, information technology, geographical information systems, remote sensing, and earth system sciences. 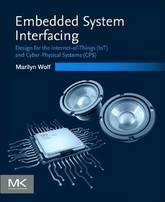 Embedded System Interfacing: Design for the Internet-of-Things (IoT) and Cyber-Physical Systems (CPS) takes a comprehensive approach to the interface between embedded systems and software. It provides the principles needed to understand how digital and analog interfaces work and how to design new interfaces for specific applications. The presentation is self-contained and practical, with discussions based on real-world components. Design examples are used throughout the book to illustrate important concepts. 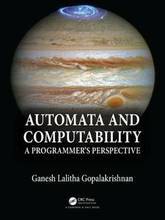 This book is a complement to the author's Computers as Components, now in its fourth edition, which concentrates on software running on the CPU, while Embedded System Interfacing explains the hardware surrounding the CPU. The Advanced Game Narrative Toolbox continues where the Game Narrative Toolbox ended. 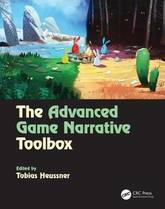 While the later covered the basics of writing for games, the Advanced Game Narrative Toolbox will cover techniques for the intermediate and professional writer. The book will cover topics such as how to adapt a novel to a game, how to revive IPs and how to construct transmedia worlds. Each chapter will be written by a professional with exceptional experience in the field of the chapter. Key Features Learn from industry experts how to tackle today's challenges in storytelling for games. A learn by example and exercise approach, which was praised in the Game Narrative Toolbox. An in depth view on advanced storytelling techniques and topics as they are currently discussed and used in the gaming industry. Expand your knowledge in game writing as you learn and try yourself to design quests, write romances and build worlds as you would as a writer in a game studio. Improve your own stories by learning and trying the techniques used by the professionals of game writing. Explore new and more sophisticated tools that reduce your marketing analytics efforts and give you precise results Key Features Study new techniques for marketing analytics Explore uses of machine learning to power your marketing analyses Work through each stage of data analytics with the help of multiple examples and exercises Book DescriptionData Science for Marketing Analytics covers every stage of data analytics, from working with a raw dataset to segmenting a population and modeling different parts of the population based on the segments. The book starts by teaching you how to use Python libraries, such as pandas and Matplotlib, to read data from Python, manipulate it, and create plots, using both categorical and continuous variables. Then, you'll learn how to segment a population into groups and use different clustering techniques to evaluate customer segmentation. As you make your way through the chapters, you'll explore ways to evaluate and select the best segmentation approach, and go on to create a linear regression model on customer value data to predict lifetime value. In the concluding chapters, you'll gain an understanding of regression techniques and tools for evaluating regression models, and explore ways to predict customer choice using classification algorithms. Finally, you'll apply these techniques to create a churn model for modeling customer product choices. By the end of this book, you will be able to build your own marketing reporting and interactive dashboard solutions. 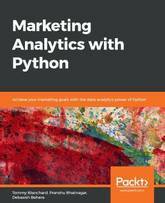 What you will learn Analyze and visualize data in Python using pandas and Matplotlib Study clustering techniques, such as hierarchical and k-means clustering Create customer segments based on manipulated data Predict customer lifetime value using linear regression Use classification algorithms to understand customer choice Optimize classification algorithms to extract maximal information Who this book is forData Science for Marketing Analytics is designed for developers and marketing analysts looking to use new, more sophisticated tools in their marketing analytics efforts. It'll help if you have prior experience of coding in Python and knowledge of high school level mathematics. Some experience with databases, Excel, statistics, or Tableau is useful but not necessary. Data-driven discovery is revolutionizing the modeling, prediction, and control of complex systems. 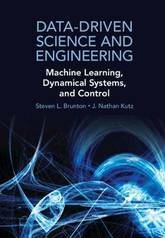 This textbook brings together machine learning, engineering mathematics, and mathematical physics to integrate modeling and control of dynamical systems with modern methods in data science. It highlights many of the recent advances in scientific computing that enable data-driven methods to be applied to a diverse range of complex systems, such as turbulence, the brain, climate, epidemiology, finance, robotics, and autonomy. Aimed at advanced undergraduate and beginning graduate students in the engineering and physical sciences, the text presents a range of topics and methods from introductory to state of the art. In recent years, the need for smart equipment has increased exponentially with the upsurge in technological advances. To work to their fullest capacity, these devices need to be able to communicate with other devices in their network to exchange information and receive instructions. 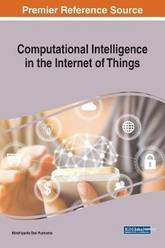 Computational Intelligence in the Internet of Things is an essential reference source that provides relevant theoretical frameworks and the latest empirical research findings in the area of computational intelligence and the Internet of Things. Featuring research on topics such as data analytics, machine learning, and neural networks, this book is ideally designed for IT specialists, managers, professionals, researchers, and academicians. 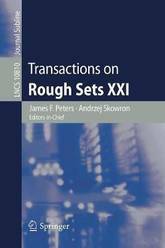 The LNCS journal Transactions on Rough Sets is devoted to the entire spectrum of rough sets related issues, from logical and mathematical foundations, through all aspects of rough set theory and its applications, such as data mining, knowledge discovery, and intelligent information processing, to relations between rough sets and other approaches to uncertainty, vagueness, and incompleteness, such as fuzzy sets and theory of evidence. Volume XXI in the series is a continuation of a number of research streams that have grown out of the seminal work of Zdzislaw Pawlak during the first decade of the 21st century. 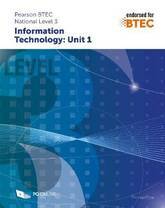 The aim of this book is to provide comprehensive coverage of topics in Unit 1 of the BTEC Level 3 course in Information Technology in an interesting and approachable manner. If you are studying this course, you need to notice, read about, experience and analyse the impact and implications of current and emerging digital technologies. Examples and case studies from scenarios and events that have recently been in the news are used to bring the subject to life. 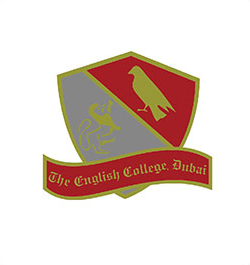 Reading and discussing articles from quality newspapers, whether printed or online, discussing relevant TV documentaries, noticing and analysing the use of digital technology in countless aspects of life, as well as learning from a textbook, are all going to contribute to a successful exam result. 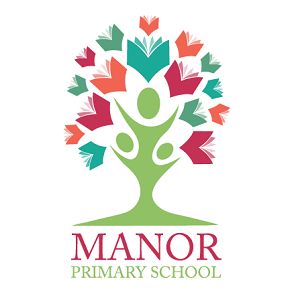 The book is divided into six sections corresponding to the six Learning Aims outlined in the specification, complementing each of the PG Online teaching resource packs. These sections are divided into between four and eight chapters, each containing material that can be covered in one or two lessons. The chapters have in-text questions which can be used as discussion points in a lesson. An extra chapter at the end of Learning Aim B on Drawing System Diagrams will be useful for students faced with a question on the exam for which they are required to draw such a diagram. In addition to almost 100 in-text questions and discussion points, there are over 80 end-of-chapter exercises that are designed to give practice in answering exam-style questions, using command words such as state, describe, explain, analyse. 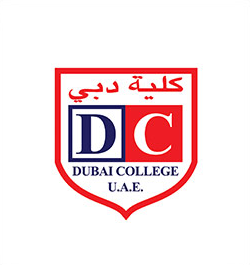 As much practice as possible is needed in answering such questions and getting feedback from the teacher so as to understand how to gain the maximum possible marks in the final exam. It is frequently observed that most decision-making problems involve several objectives, and the aim of the decision makers is to find the best decision by fulfilling the aspiration levels of all the objectives. Multi-objective decision making is especially suitable for the design and planning steps and allows a decision maker to achieve the optimal or aspired goals by considering the various interactions of the given constraints. 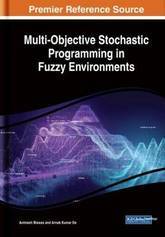 Multi-Objective Stochastic Programming in Fuzzy Environments discusses optimization problems with fuzzy random variables following several types of probability distributions and different types of fuzzy numbers with different defuzzification processes in probabilistic situations. The content within this publication examines such topics as waste management, agricultural systems, and fuzzy set theory. 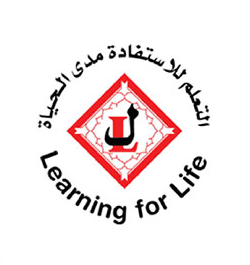 It is designed for academicians, researchers, and students. As the healthcare industry continues to expand, it must utilize technology to ensure efficiencies are maintained. Healthcare needs to move in a direction where computational methods and algorithms can relieve the routine work of medical doctors, leaving them more time to carry out more important and skilled tasks such as surgery. 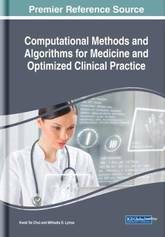 Computational Methods and Algorithms for Medicine and Optimized Clinical Practice discusses some of the most interesting aspects of theoretical and applied research covering complementary facets of computational methods and algorithms to achieve greater efficiency and support medical personnel. Featuring research on topics such as healthcare reform, artificial intelligence, and disease detection, this book will particularly appeal to medical professionals and practitioners, hospitals, administrators, students, researchers, and academicians. Step through loading GIS data, creating GIS data, styling GIS and making maps with QGIS following a simple narrative that will allow you to build confidence as you progress. Key Features Work with GIS data, a step by step guide from creation to making a map Perform geoprocessing tasks and automate them using model builder Explore a range of features in QGIS 3.4, discover the power behind open source desktop GIS Book DescriptionQGIS is a user friendly, open source geographic information system (GIS). The popularity of open source GIS and QGIS, in particular, has been growing rapidly over the last few years. 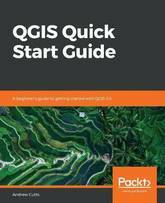 This book is designed to help beginners learn about all the tools required to use QGIS 3.4. This book will provide you with clear, step-by-step instructions to help you apply your GIS knowledge to QGIS. You begin with an overview of QGIS 3.4 and its installation. You will learn how to load existing spatial data and create vector data from scratch. You will then be creating styles and labels for maps. The final two chapters demonstrate the Processing toolbox and include a brief investigation on how to extend QGIS. Throughout this book, we will be using the GeoPackage format, and we will also discuss how QGIS can support many different types of data. Finally, you will learn where to get help and how to become engaged with the GIS community. What you will learn Use existing data to interact with the canvas via zoom/pan/selection Create vector data and a GeoPackage and build a simple project around it Style data, both vector and raster data, using the Layer Styling Panel Design, label, save, and export maps using the data you have created Analyze spatial queries using the Processing toolbox Expand QGIS with the help of plugins, model builder, and the command line Who this book is forIf you know the basic functions and processes of GIS, and want to learn to use QGIS to analyze geospatial data and create rich mapping applications, then this is the book for you. 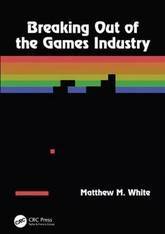 This book offers a perspective into a phenomenon becoming more and more common: AAA developers `going indie'. Written through the personal story of the author finding his way into the AAA games space, only to retreat back to indie games and consulting work and finding a new-old life making games for himself, and finding fulfillment in doing so. It is both a word of warning to creatives seeking a corporation and a call for disillusioned developers to break free and do something wild, creative, and unexpected. It is critical of common industry issues such as structural crunch, health issues, work life balance, and more, but is also a personal story of mismatched needs in doing creative work. Key Features Under-explored viewpoint of the games industry, someone who worked for years to `break in', then worked for years to `break out'. Offers a unique look at making an indie game life both financially and mentally feasible. Encourages developers sitting on the fence to take the plunge. From the chaos of the early DARPA, ARPANET and NSF-funded NSFNET has emerged a globe-spanning communications facility we today call simply The Internet. It has become so commonplace and so taken for granted that Wired News has decreed that writers should no longer capitalize it. This tale is not singularly focused on the past. 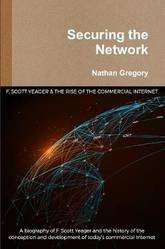 It tells not only how we got here, but where we think the Commercial Internet must go. For all its greatness, today's Internet has serious shortcomings. Theft of personal data, identity theft, online scams, and advertising fraud run rampant, with online dollars diverted to organized crime. Insecure systems, poor security practices and an attitude of secrecy and reluctance to acknowledge failings inhibit real solutions. We propose a way forward, a networking future that is bright, optimistic, and secure. Present day sophisticated, adaptive, and autonomous (to a certain degree) robotic technology is a radically new stimulus for the cognitive system of the human learner from the earliest to the oldest age. It deserves extensive, thorough, and systematic research based on novel frameworks for analysis, modelling, synthesis, and implementation of CPSs for social applications. 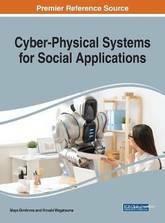 Cyber-Physical Systems for Social Applications is a critical scholarly book that examines the latest empirical findings for designing cyber-physical systems for social applications and aims at forwarding the symbolic human-robot perspective in areas that include education, social communication, entertainment, and artistic performance. Highlighting topics such as evolinguistics, human-robot interaction, and neuroinformatics, this book is ideally designed for social network developers, cognitive scientists, education science experts, evolutionary linguists, researchers, and academicians. Automata and Computability is a class-tested textbook which provides a comprehensive and accessible introduction to the theory of automata and computation. The author uses illustrations, engaging examples, and historical remarks to make the material interesting and relevant for students. It incorporates modern/handy ideas, such as derivative-based parsing and a Lambda reducer showing the universality of Lambda calculus. The book also shows how to sculpt automata by making the regular language conversion pipeline available through a simple command interface. A Jupyter notebook will accompany the book to feature code, YouTube videos, and other supplements to assist instructors and students. Features Uses illustrations, engaging examples, and historical remarks to make the material accessible Incorporates modern/handy ideas, such as derivative-based parsing and a Lambda reducer showing the universality of Lambda calculus Shows how to sculpt automata by making the regular language conversion pipeline available through simple command interface Uses a mini functional programming (FP) notation consisting of lambdas, maps, filters, and set comprehension (supported in Python) to convey math through PL constructs that are succinct and resemble math Provides all concepts are encoded in a compact Functional Programming code that will tesselate with Latex markup and Jupyter widgets in a document that will accompany the books. Students can run code effortlessly. Build efficient and fast Qt applications, target performance problems, and discover solutions to refine your code Key Features Build efficient and concurrent applications in Qt to create cross-platform applications Identify performance bottlenecks and apply the correct algorithm to improve application performance Delve into parallel programming and memory management to optimize your code Book DescriptionAchieving efficient code through performance tuning is one of the key challenges faced by many programmers. 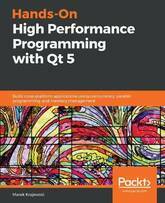 This book looks at Qt programming from a performance perspective. 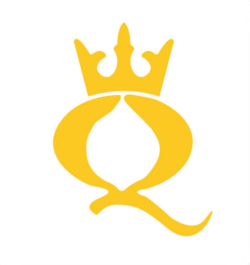 You'll explore the performance problems encountered when using the Qt framework and means and ways to resolve them and optimize performance. 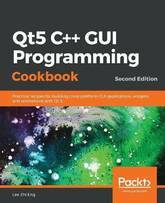 The book highlights performance improvements and new features released in Qt 5.9, Qt 5.11, and 5.12 (LTE). You'll master general computer performance best practices and tools, which can help you identify the reasons behind low performance, and the most common performance pitfalls experienced when using the Qt framework. In the following chapters, you'll explore multithreading and asynchronous programming with C++ and Qt and learn the importance and efficient use of data structures. You'll also get the opportunity to work through techniques such as memory management and design guidelines, which are essential to improve application performance. Comprehensive sections that cover all these concepts will prepare you for gaining hands-on experience of some of Qt's most exciting application fields - the mobile and embedded development domains. By the end of this book, you'll be ready to build Qt applications that are more efficient, concurrent, and performance-oriented in nature What you will learn Understand classic performance best practices Get to grips with modern hardware architecture and its performance impact Implement tools and procedures used in performance optimization Grasp Qt-specific work techniques for graphical user interface (GUI) and platform programming Make Transmission Control Protocol (TCP) and Hypertext Transfer Protocol (HTTP) performant and use the relevant Qt classes Discover the improvements Qt 5.9 (and the upcoming versions) holds in store Explore Qt's graphic engine architecture, strengths, and weaknesses Who this book is forThis book is designed for Qt developers who wish to build highly performance applications for desktop and embedded devices. Programming Experience with C++ is required. Modern computing relies on future and emergent technologies which have been conceived via interaction between computer science, engineering, chemistry, physics and biology. 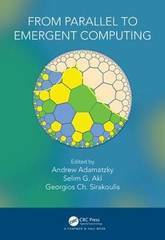 This highly interdisciplinary book presents advances in the fields of parallel, distributed and emergent information processing and computation. The book represents major breakthroughs in parallel quantum protocols, elastic cloud servers, structural properties of interconnection networks, internet of things, morphogenetic collective systems, swarm intelligence and cellular automata, unconventionality in parallel computation, algorithmic information dynamics, localized DNA computation, graph-based cryptography, slime mold inspired nano-electronics and cytoskeleton computers. Features Truly interdisciplinary, spanning computer science, electronics, mathematics and biology Covers widely popular topics of future and emergent computing technologies, cloud computing, parallel computing, DNA computation, security and network analysis, cryptography, and theoretical computer science Provides unique chapters written by top experts in theoretical and applied computer science, information processing and engineering From Parallel to Emergent Computing provides a visionary statement on how computing will advance in the next 25 years and what new fields of science will be involved in computing engineering. This book is a valuable resource for computer scientists working today, and in years to come. The variety and abundance of qualitative characteristics of agricultural products have been the main reasons for the development of different types of non-destructive methods (NDTs). Quality control of these products is one of the most important tasks in manufacturing processes. The use of control and automation has become more widespread, and new approaches provide opportunities for production competition through new technologies. 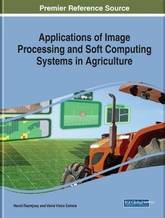 Applications of Image Processing and Soft Computing Systems in Agriculture examines applications of artificial intelligence in agriculture and the main uses of shape analysis on agricultural products such as relationships between form and genetics, adaptation, product characteristics, and product sorting. Additionally, it provides insights developed through computer vision techniques. Highlighting such topics as deep learning, agribusiness, and augmented reality, it is designed for academicians, researchers, agricultural practitioners, and industry professionals. This book is Open Access under a CC BY licence. 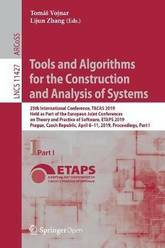 The LNCS 11427 and 11428 proceedings set constitutes the proceedings of the 25th International Conference on Tools and Algorithms for the Construction and Analysis of Systems, TACAS 2019, which took place in Prague, Czech Republic, in April 2019, held as part of the European Joint Conferences on Theory and Practice of Software, ETAPS 2019. The total of 42 full and 8 short tool demo papers presented in these volumes was carefully reviewed and selected from 164 submissions. The papers are organized in topical sections as follows: Part I: SAT and SMT, SAT solving and theorem proving; verification and analysis; model checking; tool demo; and machine learning. Part II: concurrent and distributed systems; monitoring and runtime verification; hybrid and stochastic systems; synthesis; symbolic verification; and safety and fault-tolerant systems. 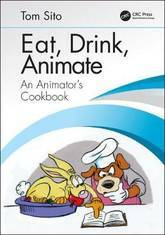 Tom Sito (the legendary animator behind Who Framed Roger Rabbit, Beauty and the Beast, and other classic works) brings together the perfect fusion of culinary skill and animation in his cookbook, Eat, Drink, Animate: An Animator's Cookbook. Sito's book is a celebration of the works from legendary animation artists from around the world. Twelve Academy Award winners, five Emmy Award winners. From legendary animators from Hollywood's Golden Age, to modern masters. Not only does he demonstrate examples of their works, but he also includes their favorite personal recipe, and an anecdote from their professional lives that relates to food. Key Features: A rare look behind the scenes of some of animation's most memorable films. Usable recipes you canmake yourself, tested and adapted by Rebecca Bricetti, former editor for Stewart, Tabori, & Chang (Glorious Food ) and Robert Lence animator and gourmet (Toy Story, Shrek ). Never before seen photos and illustrations. Anecdotes from behind-the-scenes of some of your favourite animated classics. As internet technologies continue to advance, new types and methods of data and security breaches threaten national security. These potential breaches allow for information theft and can provide footholds for terrorist and criminal organizations. 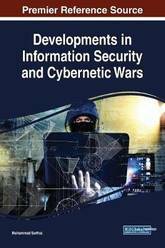 Developments in Information Security and Cybernetic Wars is an essential research publication that covers cyberwarfare and terrorism globally through a wide range of security-related areas. Featuring topics such as crisis management, information security, and governance, this book is geared toward practitioners, academicians, government officials, military professionals, and industry professionals.